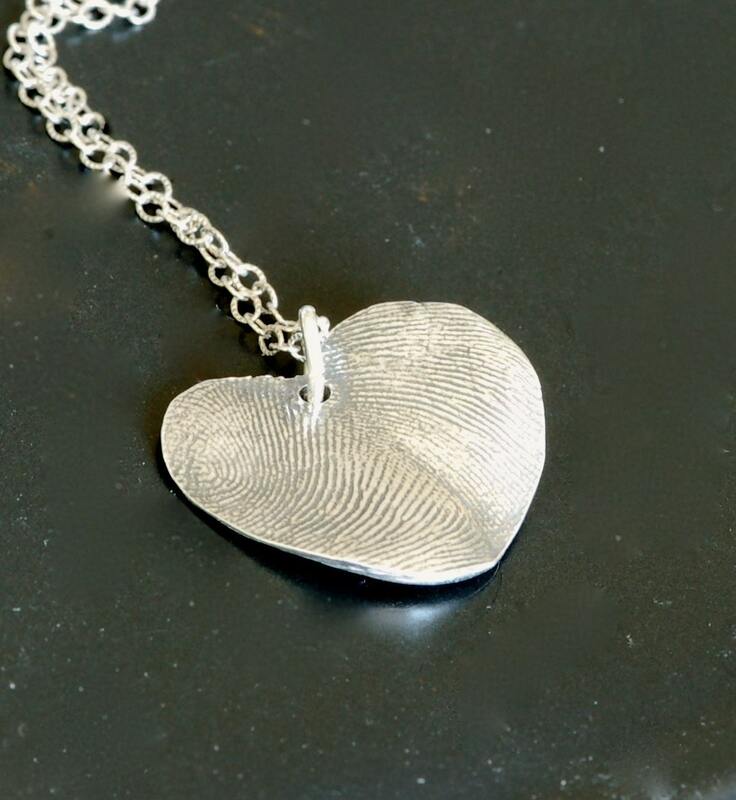 A heart shaped pendant is created by the impression of he and she, or any two amazing person's prints for a keepsake gift. A very precious gift for a loved one. 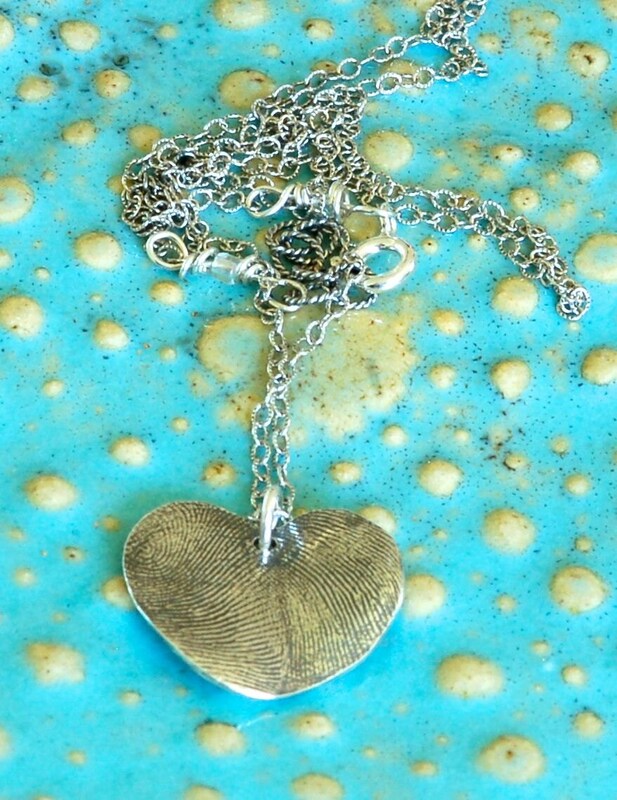 Names & date can be stamped on the back of the heart...or a small message. 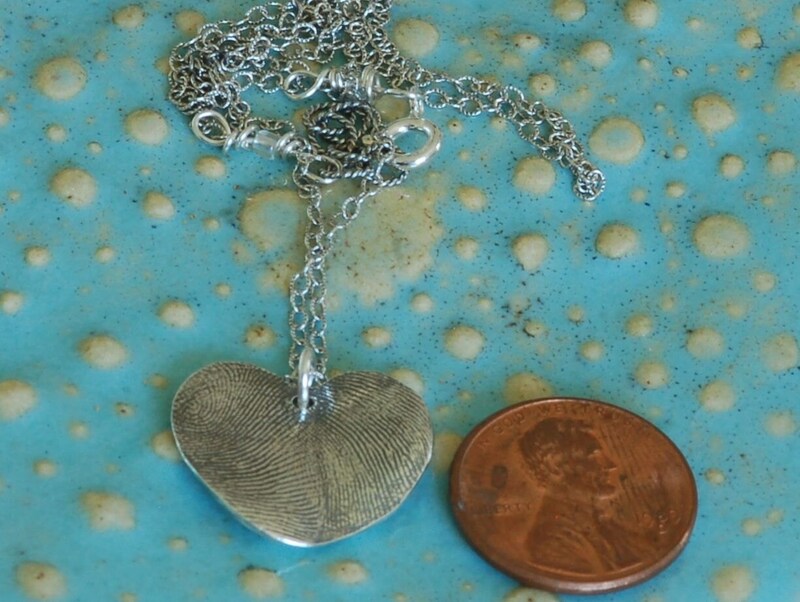 The heart is made from .999 fine silver. 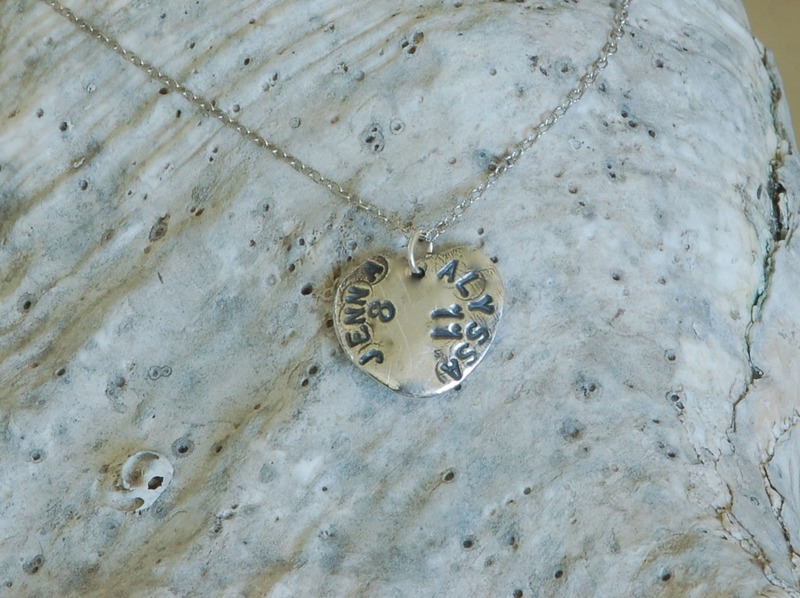 The sterling silver chain is 16 inches long. Please convo me if you would like a longer chain for a small additional cost. I will send you the mold material first...you create the mold and send it back to me. Then I will make the charm and send it back to you! A very special gift idea!!! You create the look of the charm based on the impression you make . So precious! Love the design! Perfect for our 30th anniversary coming up soon! Thank you Susan!